Grab a piece of paper towel without pulling off more sheets than you need with a standing paper towel holder. 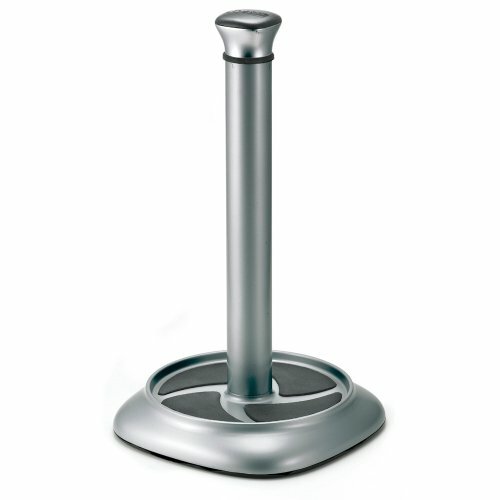 Standing paper towel holders provide quick tearing of paper for an emergency mop-up without unraveling the entire roll on the floor. They are a great way to reduce waste and a convenient addition to any kitchen. 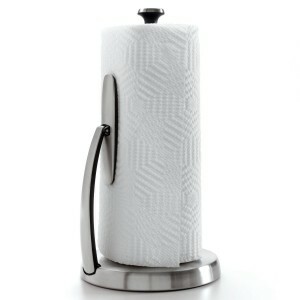 Tear off the right amount of sheets you need with the OXO Good Grips SimplyTear Standing Paper Towel Holder. With a spring-activated arm holds the roll securely, you can tear off a single towel effortlessly with one hand. Its spring-activated arm locks open for loading. Since the arm automatically adjusts to the width of the roll, this paper towel holder accommodates all sizes of paper towel rolls. Weighted, non-slip base ensures stability. 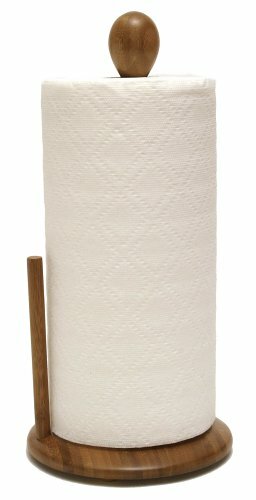 Simple, functional and easy to use, the Lipper Bamboo Collection Standing Paper Towel Holder is a great addition to any kitchen. Made of natural bamboo and offers lovely permanent color, this standing paper towel holder is sturdy and let you tear the sheets you need while keeping standing upright. Add a touch of nature to you kitchen with this bamboo standing paper towel holder. No more wasting paper towel sheets when use the Polder KTH-6066-87 Single Tear Paper Towel Holder. This is an amazing item that feature a soft rubber base design to add just enough friction for a perfect one-handed tear. It holds standard and jumbo paper towel rolls. The 1/4 Turn top cap allows for easy roll replacement. Its sleek contemporary design will easily fit into any modern kitchen. Looking something elegant, yet effective to pull out several sheets with a single hand? The Kamenstein 4536 Perfect Tear Paper Towel Holder is the perfect choice. 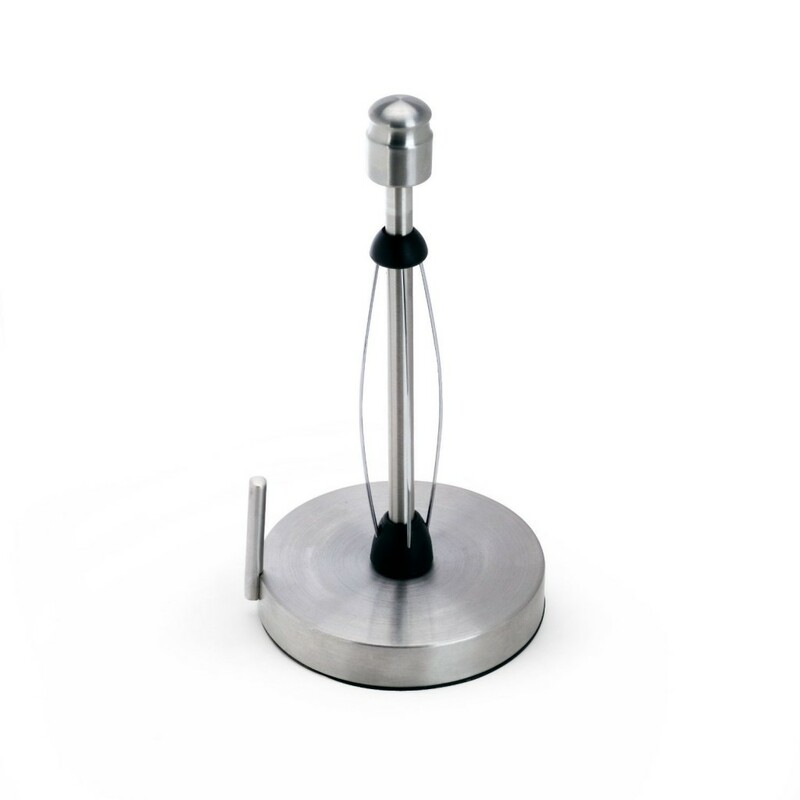 With a stylish brushed finish, this stainless steel holder blends well with any kitchen decor. 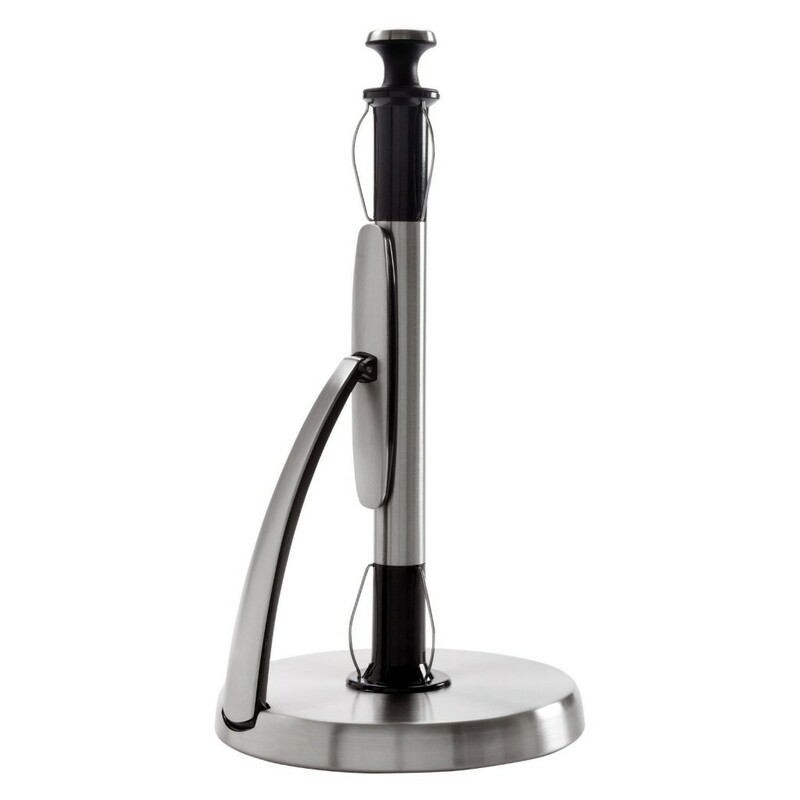 Its weighted base with nonskid padding keeps the paper holder rooted to countertops for secure tearing, every time. Accommodates regular- and jumbo-size rolls. This will be an impressive paper towel holder that lets you speechless. 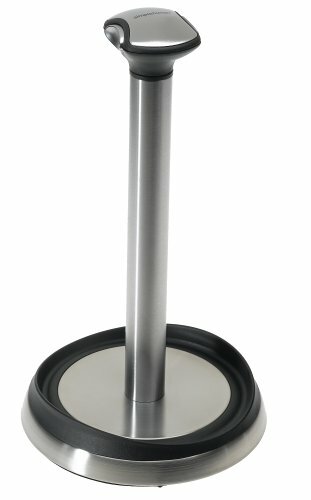 The simplehuman Quick Load Paper Towel Holder comes with a wighted stainless steel base to keep the holder steady. Simply by squeezing the buttons, you can remove the knob and quickly change the roll. The raised edge keeps paper towel tucked in place. Additionally, its raised, grooved edge along base will keep the roll from unraveling.